Amid increased scrutiny over the correction department’s treatment of its jail inmates, the department announced on Tuesday that its top correction official, William Clemmons will be stepping down. Clemmons has recently come under fire for his tenure. A 2012 internal department investigation—made public recently by the New York Times— revealed that Clemmons shirked his responsibility to accurately report statistics on inmate violence at the jail where he served as warden. In 2011, Clemmons was charged with overseeing the Robert N. Davoren Center (RNDC) at Rikers Island, which mainly houses adolescent inmates. The investigation found that hundreds of inmate fights went unreported, and ultimately concluded that Clemmons and the deputy warden should be demoted. But for the final draft of the report, then-commissioner Dora B. Schriro omitted sections that pointed to these two officials’ culpability. In March, the mayor appointed Joe Ponte as the new commissioner, who then promoted Clemmons to the highest-ranking position in May—department chief. At a City Council hearing held earlier this month, Ponte defended his decision to promote Clemmons, noting that he made the decision based on the final draft report. Council members at the hearing criticized Ponte for standing by his decision despite new revelations that demonstrated Clemmons’s incompetence. They also chastised Clemmons for not appearing at the hearing—said to be on vacation at the time. Commissioner Ponte praised Clemmons in a released statement on Tuesday. “Under Chief Clemmons’s guidance, the Department undertook and realized many substantial reforms,” Ponte said, including a new plan for managing adolescent inmates and special housing for the mentally ill. “Chief Clemmons was a model of stability in a tumultuous time,” Ponte added. Clemmons will be leaving in December, after spending more than 29 years in the department. Clemmons told the Associated Press, who first reported his retirement on Monday, that he was not asked to resign. The corrections officer union, Correction Officers’ Benevolent Association, said they had no comment. 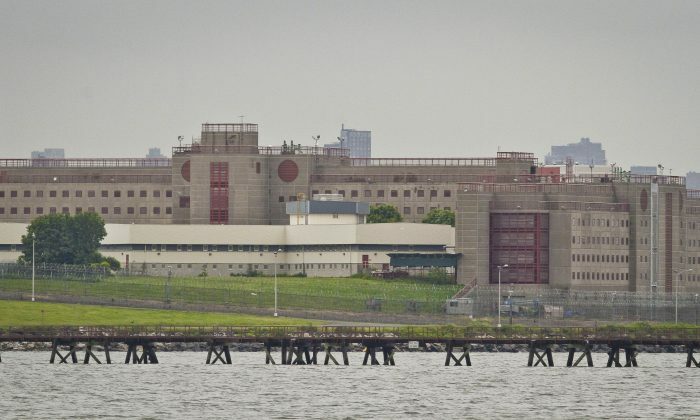 In August, the U.S. Department of Justice (DOJ) released a report on jail conditions for adolescent inmates at Rikers Island, where they found a “deep-seated culture of violence”—both among inmates and officer-on-inmate. The DOJ threatened legal action if the city corrections department does not implement reforms soon enough.